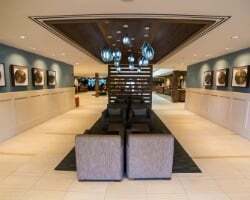 Located right on Vistana Centre Drive, Sheraton Vistana Resorts is your ticket to vacationing right in the center of everything Orlando. Treat your family to a wonderful vacation at Fountains Villas and save up to 70% off the retail price when you buy a timeshare resale or rental through us. 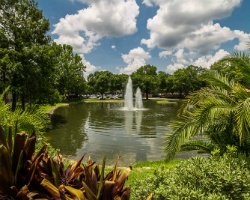 At the Sheraton Vistana Resort Fountains Villas, you’ll be warmly welcomed by a wonderful staff to one of the most exciting resorts in all of Orlando. Greeted by a great front desk service, you’ll enter through the gated access to a resort property that will surely take your breath away. With seven amazing outdoor pools, 13 lighted tennis courts, three Sheraton fitness centers, and a plethora of magnificent activities, you and your family will have a relaxing, interactive stay when you purchase a Sheraton Vistana Fountains Villas timeshare. 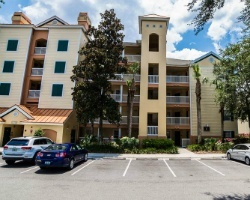 Guests are within such close proximity to major theme parks such as Walt Disney World, Universal Studios, and SeaWorld that you’ll want to be there every day! Not only will you save big by purchasing a timeshare resale or rental, you’ll also be able to access the Tickets and Transportation Desk for information and discounted tickets to the area’s top amusement parks. Each two-bedroom villas offers a luxurious experience that will keep you refreshed and unwound throughout your stay. 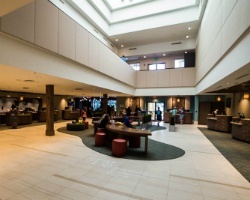 Escape the energy of the Sheraton Vistana Resort atmosphere to your nice, quiet living room, furnished with all of the essentials such as a televisions, comfy sofas and chairs and plenty of space. Each kitchen comes fully equipped with an oven, refrigerator, coffee maker and blender. Prepare a nice meal for your family and serve it on the granite top breakfast bar or on the gorgeously crafted wooden dining room furniture. The Sheraton Fountains Villas offer unbelievable bedrooms with the Sheraton Signature Sleep Experience Beds dressed in white linens and fluffy pillows. Wake up to the incredibly crafted ponds and gardens every morning with the promise of a new day in the paradise that is Sheraton Vistana Fountains Villas. With a Sheraton Vistana Resort Fountain Villas timeshare resale, you’ll afford a number of great perks. Ownership off the secondary market means you could save thousands of dollars and have the freedom for flexible vacations if you prefer it. Purchasing a timeshare resale means you’re investing in the property through the current owner. The price you pay is fairly evaluated against the current trends of the resale market. That way you avoid any hidden fees that might be added into the final cost by the developer. Owners can choose a fixed or floating deeded timeshare week in a variety of different seasons. If you’re a floating week owner, you could even have access to available weeks in the Platinum season, the one with the highest demand. You can choose to vacation annually, biannually, or biennially as well depending on the flexibility of your schedules. Like all Sheraton resorts, Sheraton Vistana Resort Fountains Villas is affiliated with the award winning resort brand Starwood Hotels & Resorts. Starwood’s catalog boasts its excellent resorts, which are synonymous with luxurious accommodations at completely affordable prices. Sheraton Vistana Resort contributes that tradition, having been awarded TripAdvisor’s Certificate of Excellence five years in a row. Our Starwood Information Center provides a wealth of great information about what Starwood Vacation Ownership means for you after you purchase a Sheraton Vistana Resort Fountain Villas timeshare resale or rental. Sheraton Vistana Resort Fountains Villas owners have the ability to purchase memberships to either RCI or Interval International. RCI and II are the two largest external timeshare exchange companies in the industry, so for an additional fee Sheraton Vistana Fountains owners can submit their timeshare week in the exchange pool to acquire a special one-off vacation at any one of their thousands of affiliated resorts located in dozens of different countries worldwide. Sheraton Vistana Fountains Villas is a RCI Gold Crown Rated and Interval International Premier Resort, which gives its resort owners a substantial amount of trading power due to the high demand of the property. Sheraton Vistana Resort Fountains Villas offers so many wonderful activities, attractions, and dining options, you wouldn’t have to leave the resort! Stay active while catching some rays outside at the resort’s esteemed tennis, volleyball, and basketball courts. Sheraton Vistana Resort also offers a variety of craft-classes where guests can tie-dye or make glass fusions. The Surrey bike rentals are available near the Cascades Pool Deck, which allow for some great trips around the resort trails on two or four seater bikes. Sign up you and your family for some great scuba diving lessons in the resort's pools; children ages five to seven years old can participate in the Bubble Program which features a breathing tank, but divers remain above the water. There are also plenty of kids activities in the activity center for children to spend time making new friends while the adults head off for some much needed time for themselves. Downtown Disney is right down the street and Pleasure Island calls with some amazing restaurants, cocktails, and nightlife. Any guests 18 years and older can also join the Victory Casino Cruise which departs Tuesdays and Wednesdays at Port Canaveral. Already Own at Sheraton Vistana Resort Fountains Villas?